In February tech journalist Kara Swisher interviewed Twitter CEO Jack Dorsey for 90 minutes, using Twitter. The interview was supposed to be a simple “Twitter chat” with people following the conversation using the hashtag #KaraJack. The first part of the problem was that Jack and Kara didn’t follow the right protocols. They didn’t number their questions; ‘spoke’ over each other; split the thread and forgot to use the hashtag at times. The second part of the problem was the platform itself. Twitter has become increasingly complex and cluttered, the equivalent of a roomful of people shouting to each other. 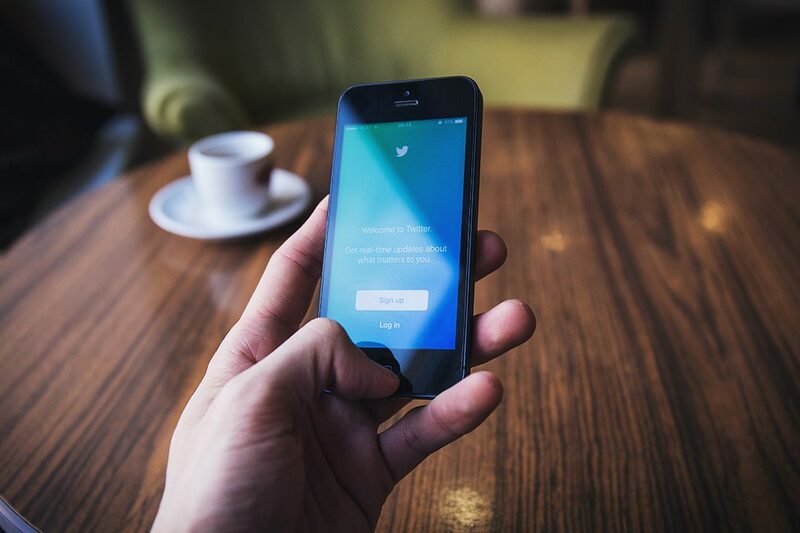 Twitter has recognised the need to develop and is working to make the platform more conversational. 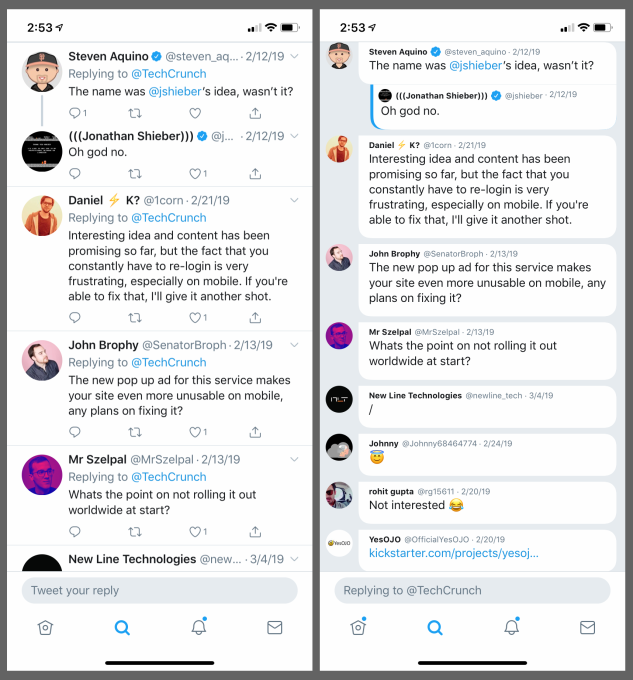 Twitter has launched a new Beta app for chosen testers, called Twittr. It announced that it will still test some new features with small groups within the main app, but this will give them a way of testing bigger changes to the interface. Changes that might terrify normal folk. Replies between people who are not the original poster may be hidden from the default view. This is a way of hiding irrelevant side conversations, but they can be expanded and viewed if required. Each tweet and reply doesn’t have the four reply, retweet, heart or share icon buttons beneath. You can access these by tapping on the post/reply. The overall effect – nice! It’s much cleaner and easier to follow, and more like a chat app than a confusing social feed. Twitter is testing a ‘subscribe to conversation’ button. This will allow people to receive notifications relating to conversations, without having to like or reply to them. This is good news for those of us who like to watch quietly from the sidelines, as it means you don’t have to ‘heart’ a conversation or set up a hashtag feed. This could be useful for businesses wishing to monitor conversations without revealing their interests, or those who don’t wish to appear to endorse certain conversations. The Twitter community seems pretty positive about this possible change, although some did express fear of notification overload. 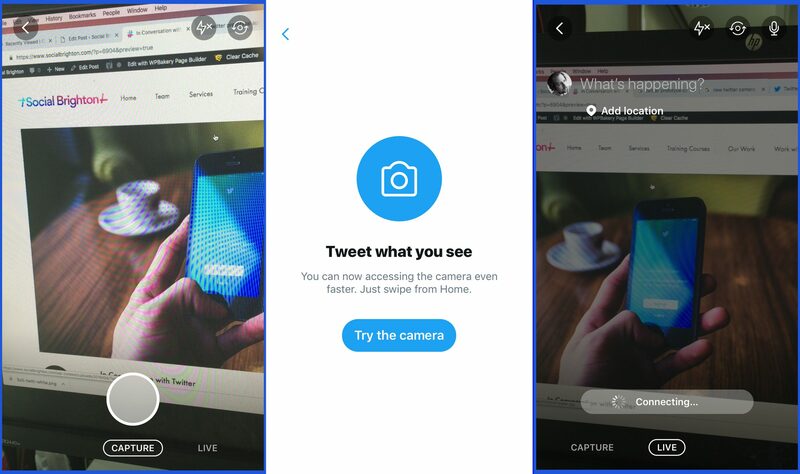 At the recent SXSW tech festival Twitter announced a new camera experience. Already widely available, this allows users to swipe left from within the app for a full screen camera experience. You can tap the button to take a picture, hold it to create short videos, or stream live video. It also allows users to add text over the photo or video in various colours. If you’ve got your ‘access my location’ feature switched on it’ll suggest locations to tag. One possible development on this could be the ability to use image recognition so your camera could recognise what it’s seeing. It could then help you add the right hashtags and point you towards similar conversations. In theory, cameras could collect information from multiple people shooting the same thing, such as a football match or a music festival, and help connect these different streams. This appears to play to Twitter’s strengths in being an ‘of the moment’ app – it’ll help people connect speedily, easily and on time. What might this mean for businesses? These three updates are interlinked. The changes to the user interface, the way conversations are displayed, the ability to follow conversations more easily, and to stream live video more easily – these are all ways of connecting people to a specific moment. Most businesses will find that the more conversational and personal their message, the better results they’ll get. This is a skill worth developing for future online social marketing. Anyway, that’s all from us for now, see you soon!